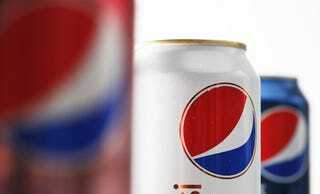 Pepsi announced several weeks ago that they’ll be stripping the aspartame from Diet Pepsi. However, they’re gonna keep selling the old formula online. For those of you who just can’t get enough of that weird chemical taste, yum yum! That’s according to the Wall Street Journal. The new formula will roll out in August, CEO Indra Nooyi told investors today, while reassuring them that the new-and-improved version is great. But hey, never hurts to hedge your bets, right? Ms. Nooyi said the new formulation of Diet Pepsi, which replaces aspartame with the artificial sweetener sucralose, is “a very, very good product.’’ It also will continue to continue to contain acesulfame potassium, another artificial sweetener with zero calories. But changing recipes can also backfire — as Coca-Cola Co. learned in 1985 when it launched New Coke before quickly reverting to its original cola recipe after an uproar from die-hard drinkers. Coke has said it plans to keep using aspartame in Diet Coke, the country’s top-selling zero-calorie soda, despite falling volumes. You guys know sweet tea exists and is delicious, right?